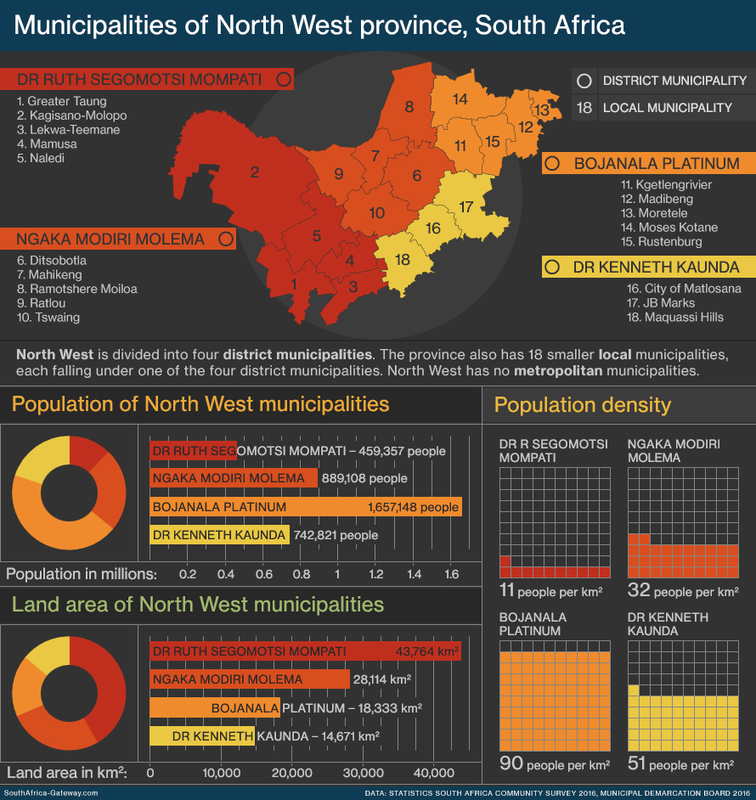 Local government in North West is organised into four district municipalities. The province also has 18 smaller local municipalities, each falling under one of the four districts. North West is divided into four district municipalities. The province also has 18 smaller local municipalities, each falling under one of the four district municipalities. North West has no metropolitan municipalities.